In this inspiring interview, Vani Hari a.k.a. 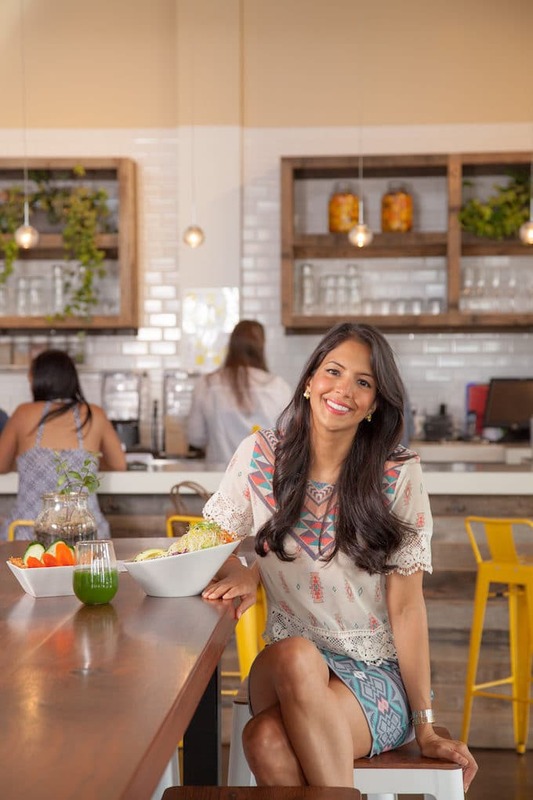 “The Food Babe” shares how she sets herself up for success every day to tackle big food business. Vani went from taking eight different prescription medications to now taking ZERO! Like me, Vani is living proof that food is medicine!! 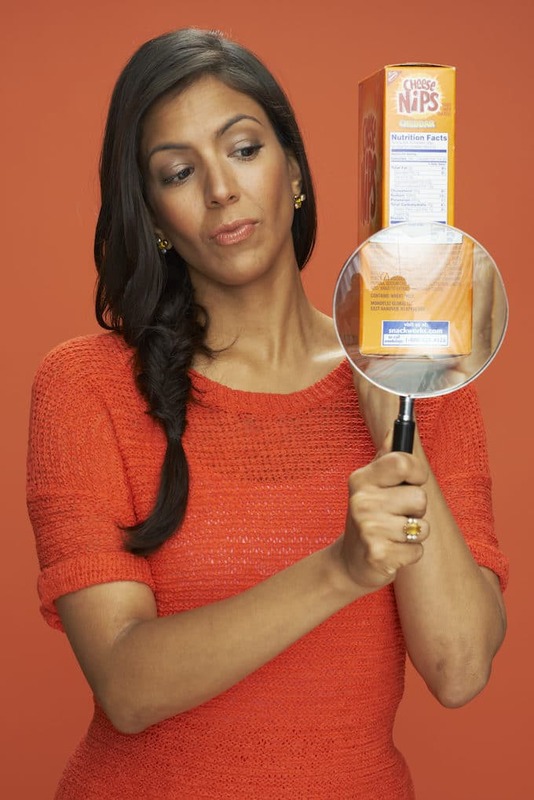 On her site FoodBabe.com, Vani dives deep into investigating what’s really in our food, how it’s grown and what chemicals are used in its production. 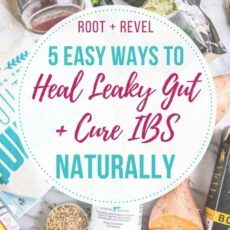 She’s literally spent thousands of hours researching and talking to experts, in turn uncovering big business marketing tactics, debunking lengthy food labels and getting to the root of what’s in processed food. 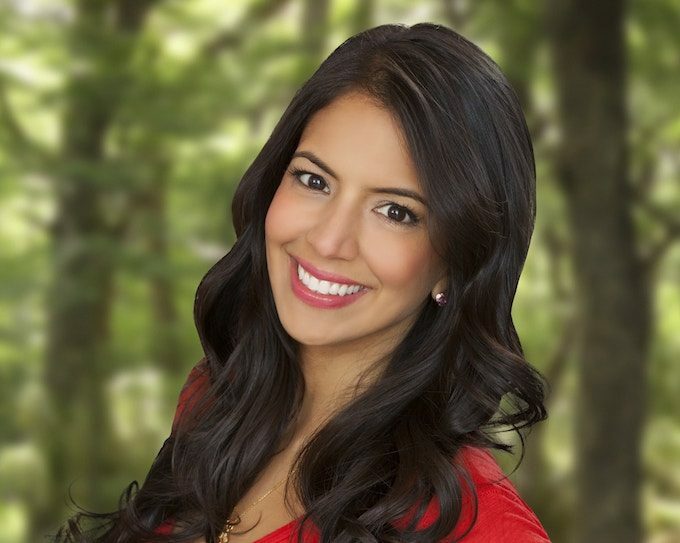 The Food Babe is now one of the most trusted leaders in the industry and educates and empowers consumers to make healthier choices–she has been a huge impetus for change in numerous American food companies, from Subway and Starbucks to General Mills and Boar’s Head. But Vani wasn’t always a food pioneer. When she was younger, she ate the “Standard American Diet” filled with processed and fast food, soda and candy. After ending up in the hospital, she committed to making her health her number one priority. She went from taking eight different prescription medications to now taking ZERO! Like me, Vani is living proof that food heals!! 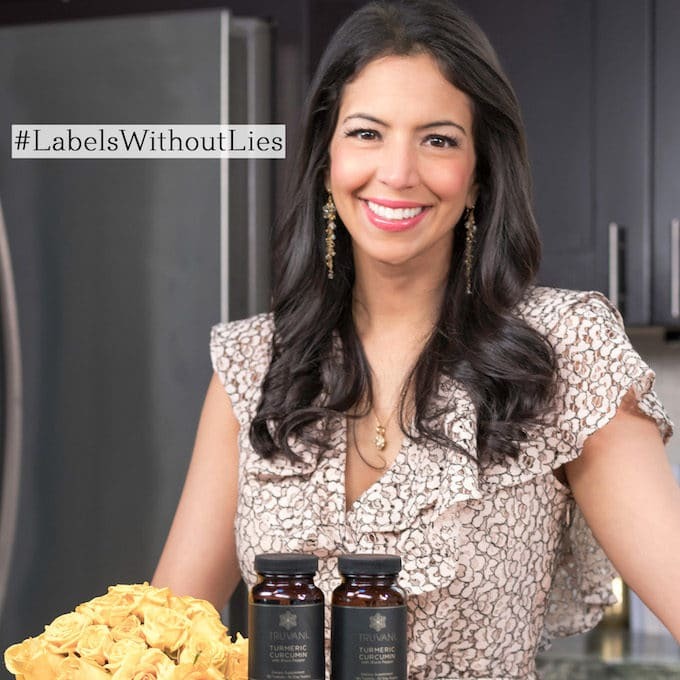 Vani and The Food Babe have become a trusted resource for learning the truth about harmful ingredients in processed foods, how to avoid the stuff the food industry is trying to hide and the big changes that are happening in our food supply. She teaches how to make the right purchasing decisions in the grocery store so that you can create a lifelong habit of choosing healthy food. 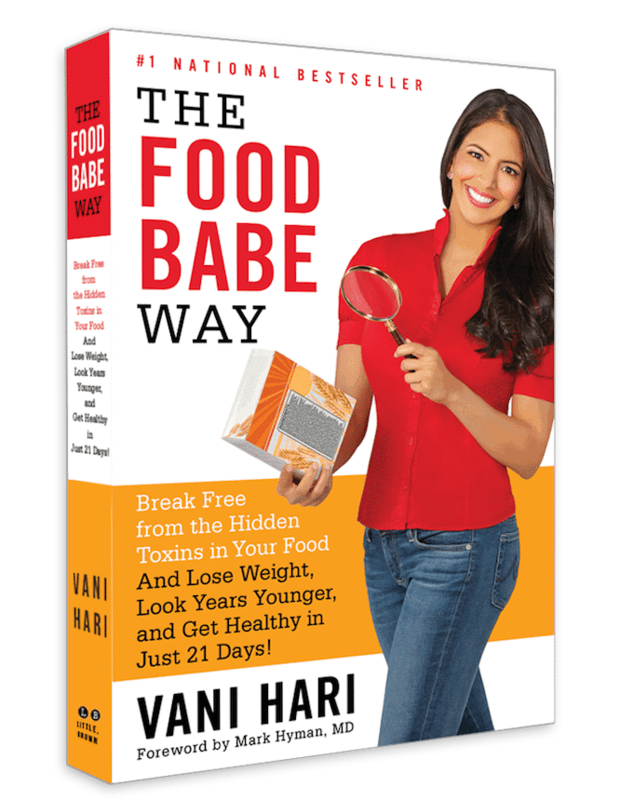 Vani is also the author of the book The Food Babe Way: Break Free from the Hidden Toxins in Your Food and Lose Weight, Look Years Younger, and Get Healthy in Just 21 Days! One of the things I admire most about Vani is her activism. Her followers are lovingly called “The Food Babe Army” because of their commitment to demanding and actively creating change in the food supply. In 2013, Chick-fil-A responded to The Food Baby Army by announcing they were removing artificial dyes, artificial corn syrup, and TBHQ from their products. Chick-fil-a also announced a plan to use antibiotic-free chickens within the next 5 years. Chipotle published its full ingredient list on all menu items, including where Chipotle uses GMOs. Eventually, Chipotle also made the commitment to stop serving GMO food entirely thanks in large part to Vani’s efforts. Kraft responded by removing harmful chemicals from their children’s products, like their popular Macaroni & Cheese. It’s no surprise that in 2015, Time Magazine named Vani as one of the “30 Most Influential People on the Internet” because of her ability to inspire and rally change! 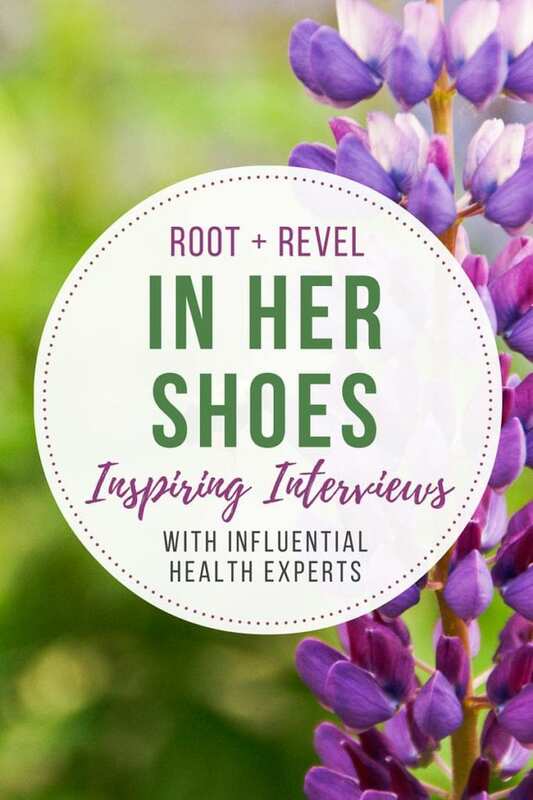 Needless to say, I couldn’t be more excited that Vani is here with Root + Revel–I know that you’re going to find so many inspiring tips and tricks in this interview! So let’s get into it; let’s take a peek at what it’s like to spend a day walking in Vani Hari’s shoes. I always drink a glass of warm lemon water with cayenne pepper as soon as I get up in the morning – even when traveling. 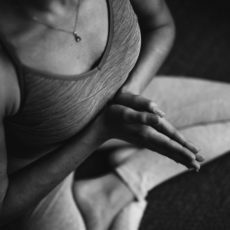 Starting my day with this simple habit sets me up for success for the rest of the day and is a reminder that my health comes first. When I sit down with my family for breakfast, I take my Truvani Daily Turmeric Supplement. I like to take my supplements with my food because it assimilates better in the digestive tract. I like to keep it simple. I’ve got a trio of things I use on a daily basis – like Kiss My Face 100% olive oil soap to wash with, Aura Cacia organic sesame oil for my skin and Nutiva’s coconut oil for make-up remover. Almost every night before bed I fill up a small crockpot with organic oatmeal and let it cook on low all night long. In the morning, my entire family eats this topped with lots of fresh fruit, cinnamon, and freshly ground flaxseeds. I can only drink about half a cup of coffee or else I get too wired! I’m a huge herbal tea drinker and that’s one of my favorite rituals. I really like to drink Rishi tea, ginger tea, and turmeric tea and often have a few cups daily. One of the coolest things about the new Truvani Daily Turmeric Supplement is that you can make instant hot tea by simply dropping a tablet in hot water! I exercise almost everyday. Exercise for me is more about stress relief than aesthetics. It is easier for me to make healthy food choices during a day when I have been active too. I like to take classes like spinning, Orange Theory, and at Hilliard Studio Method. I used to be on 8 prescription drugs – now I’m on zero because of the changes I made with my diet. I personally like to heal my body naturally with treatments like acupuncture and some herbal remedies whenever possible. Some people think it’s crazy… but herbs and spices have been used for centuries in Ayurvedic (a medical system that originated in India) and Traditional Chinese Medicine to help a number of conditions. These natural remedies go way back in our history and have been used for a very long time to support good health. As already mentioned, I take my new Truvani Daily Turmeric Supplement. This is just one thing that helps me feel healthy and vibrant and I want to continue taking it for the rest of my life. Packing your own snacks is so important! Otherwise you might get tempted by some unhealthy fast food or the vending machine full of chips. That’s why I like to always be prepared with simple snacks, such as packets of organic almond butter to spread on an apple or Mary’s Gone Crackers, homemade trail mix, fresh fruit, veggie sticks, dried fruit, and avocados. My lunch almost always consists of a huge salad. Lots of fresh greens like kale and arugula. I’ll add things to it like beans, seeds, and organic pastured chicken for additional protein. For a quick easy meal – I love making lentil pasta with chopped kale and tomato sauce. My daughter eats it too – but usually just picks out the kale and eats that and leaves the pasta, haha. I don’t avoid entire food groups. My food philosophy is simple. I’m all about choosing food as nutrient-dense as possible, without processed chemical ingredients invented by the food industry to increase their bottom line. Ideally, I eat foods that are real, whole, organic, and full of nutrients to give your body what it needs to feel and look its best. That means that I don’t look at the front of the food package for information about a product. I always read the ingredient list and also look for the certified organic label. You’ll pretty much always find some organic oats, sprouted grain pasta, sprouted lentils, quinoa, and of course, some basic baking ingredients. I do love to bake homemade cookies! I always start out with a big salad or soup, as this is often the healthiest item on the menu. Then I might choose a vegan dish full of lentils and vegetables, or sometimes some wild fish. Oh my goodness – I read so much. There’s every genre! Everything under the sun from how to raise children, the latest health book to books about business. I stopped watching TV at night so that I could focus on the launch of my new company Truvani. Now, when I’m ready to wind down I like to drink some tea and settle in with a good book. Donuts. There’s a place here in Charlotte that cooks them in coconut oil called Not Your Mom’s – they are my favorite. The first product in my new product line Truvani just launched! The Truvani Daily Turmeric Supplement is certified organic, non-GMO, glyphosate-residue free, and packed with 12 powerful benefits. This is the most exciting thing I’ve ever done and I am so thrilled to bring this amazing product to people. And that’s a wrap. HUGE thanks to Vani Hari for sharing her story with us. Vani is such an inspiration and represents the impact that ONE person can make! I loved getting to know her better in this interview. Thank you! !